This wasn’t actually part of the #BeachBodyNotSorry project but of course it fits to the message, especially because of the photos with the other women. I’m so happy and proud that I’ve been a part of this shoot because I really love the result! 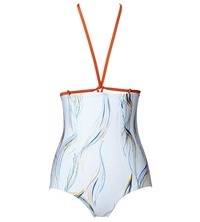 Also, this bikini (people keep mistaking it for a swimsuit) is a masterpiece! It’s almost art, right?